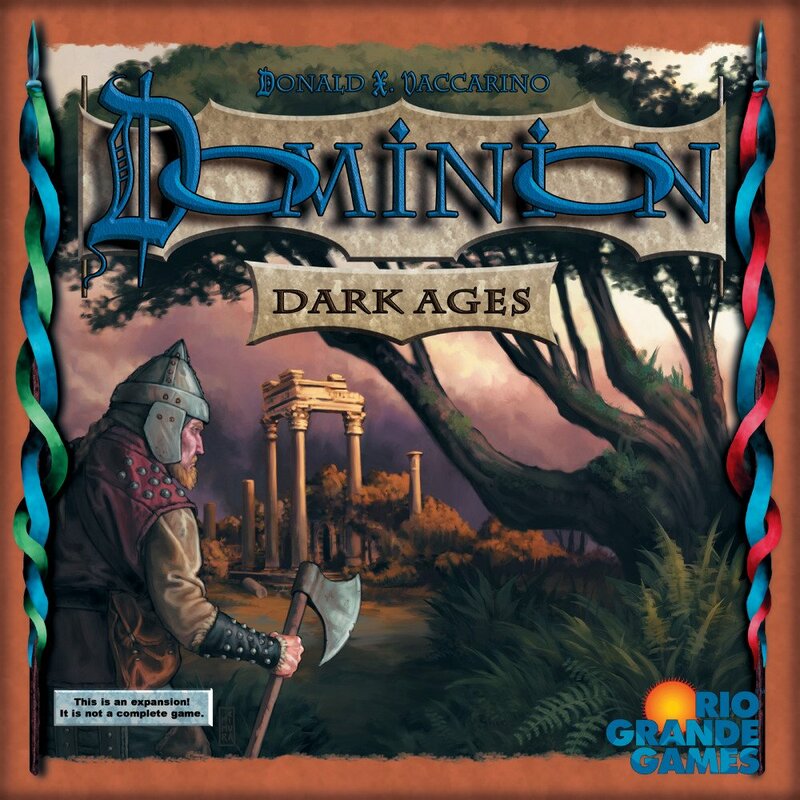 This is the 3rd addition to Dominion. It adds 12 new Kingdom cards to Dominion, plus a new resource: Potions. 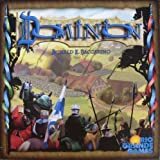 Dominion: Alchemy is an expansion, and can't be played by itself; to play with it, you need Dominion, or a standalone expansion to Dominion (Dominion: Intrigue). Those provide the Basic cards you need to play (Treasure, Victory, and Curse cards), as well as the full rules for setup and gameplay. 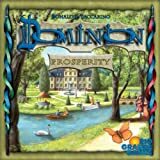 Dominion: Alchemy can also be combined with any other Dominion expansions you have. After you choose 10 Kingdom cards for the Supply, if any of them have in the cost, add the Potion pile to the Supply. Also add the Potion pile if you are using the promotional card Black Market, and the Black Market deck includes at least one card with in the cost. If you don't have any cards with in the cost in the Supply or in the Black Market deck, do not use the Potion pile in this game. When you have a Potion pile, put all 16 Potions in it, no matter how many players there are. In games using this pile, if the pile becomes empty, that will count towards the game ending condition, like any other Supply pile. You can play Dominion using any number of Kingdom cards from Alchemy, but we especially recommend playing with 3 - 5 Alchemy cards at once. Alchemy includes 12 randomizer cards (one for each Kingdom card in Alchemy). You will need the Treasure cards, Victory cards, Curse cards, and Trash card from either Dominion or a standalone expansion like Dominion: Intrigue to play with this expansion. As with previous Dominion games, players must choose 10 sets of Kingdom cards for each game. If players choose the random approach for choosing sets, they may shuffle the randomizer cards from this expansion with those of any other Dominion games they choose to play with or take a few from each set of randomizer cards. Buying cards using potion works just like buying cards with coins. If a player has , he could buy a card costing , or a card costing , and so on. If he has and an extra Buy, he could buy a card costing and a card costing , or a card costing and a card costing , and so on. He could not buy two cards costing , because he has only one . He needs per card he wants to buy that has in the cost. References to cards costing "up to" some cost only include if is in the given cost. If is in the cost, a player can drop the and it is still "up to," but a player cannot add if it is not there. If a card only costs (Vineyard, Transmute), the number of coins in that card's cost is 0. Adding coins to a cost doesn't affect being in the cost or not. If was in the cost, it still is; if it wasn't, it still isn't. Same with subtracting coins from a cost. References to cards costing some number of coins "or more" include cards with or without in the cost. References to a cost range in coins does not include cards with in the cost. Cards which check if two costs are the same include if it is there. In play - Action cards and Treasure cards played face-up to a play area are in play until they are moved somewhere else—usually until they are discarded during a Clean-up phase. Only played cards are in play; set aside cards, trashed cards, cards in the Supply, and cards in hands, decks, and discard piles are not in play. Reaction abilities like Moat's do not put those cards into play. Alchemy includes a Treasure card with rules: Philosopher's Stone. Philosopher's Stone is in the Supply if it is selected as one of the 10 Kingdom cards for the game; it is not part of the Basic Supply. It is just like a normal Treasure, but has special abilities. Philosopher's Stone is played during the Buy phase like a normal Treasure. It can be stolen by a Thief and so on. During the Buy phase, all Treasures are played before a player buys any cards, even if he has +Buys. A player may not play Treasures after Buying a card. This is important for Philosopher's Stone. When a player discards cards from play, he may discard them in any order. This normally does not matter, but is important for Alchemist and Herbalist.